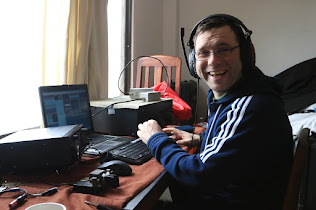 EI5IX: Irish Radio amateurs get a new MF allocation! amateurs in Ireland, on a secondary basis, and has been in effect since Today the 1st of January. The maximum power is 5 watts (7 dBW) and the modes available are CW, QRSS, and narrow band digital modes. by coast stations of navigational and meteorological and urgent information to ships. result of a number of years of lobbying by the IARU and its Member Societies worldwide. The Test Licence held from ComReg by IRTS under which a number of licensed amateurs were given permission to operate in the band segment 501 to 504 kHz expires on the 2nd January 2013. Licensed amateurs who had received such permission must cease operation on 501 to 504 kHz as and from Wednesday, tomorrow the 2nd of January at the latest. The Society appreciates that ComReg has made this new allocation available to licensed radio amateurs from the earliest date possible under the WRC-12 decision. May I take this opportunity of wishing everybody all the best DX for 2013 and Good Luck on the new 472 kHz Amateur Band.